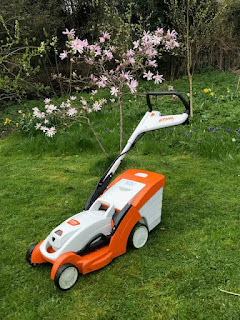 I first saw the Bosch Cordless Secateur at the Garden Press Event that took place on a snowy day back in February. I always enjoy this event as it is where companies showcase the products they are wanting us all to be buying over the growing season. As a result of this event I was approached by Bosch to see if I wanted to trial their Cordless Secateur Easy Prune, and I happily agreed to do so. I have not paid for this product, it was loaned to me for the period of the trial and I have not received any payment. 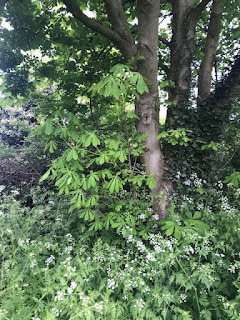 The words and opinions in this blog are, as ever, my own. The secateurs duly arrived. They felt quite big at first, the handles are not as slim as my usual ones. These are not usual secateurs though, they have a small motor inside so that you get 'power assisted cutting'. I decided I should go out and give them a good test in the garden. They are supposed to be able to cope with cutting through up to 25mm. That is actually quite a sturdy branch if you think about it. 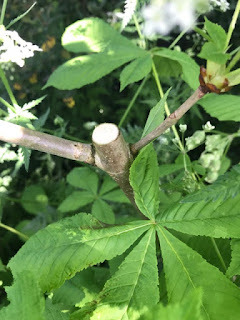 I wandered to the top of the garden where the horse chestnut tree always has this spur that is easy to reach. I cut the spur off every now and again and it grows back quite happily. 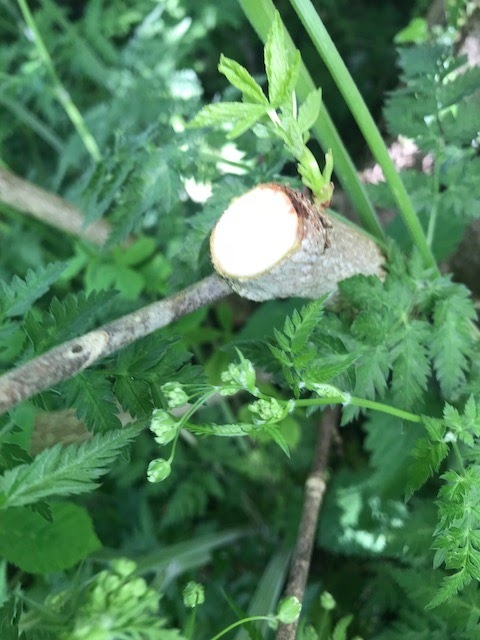 This is about 10mm thick and the secateurs cut through it with ease. What happens is that you use them the same as any other secateurs, but when it feels that you might need a bit more oomph to get through a stem the little motor whirrs into action and snick-snack you are through. 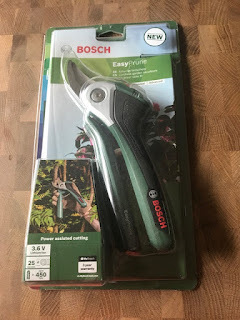 I am hoping that this small video a) works and b) demonstrates how the secateurs work as ordinary cutters and also when the motor kicks into action. 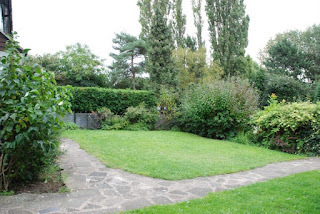 I enjoyed using the secateurs and I am seriously thinking about getting myself a pair as they really are very useful. Hi Alison, Sadly the video didn't work for me but I like the sound of these secateurs. A bit of oomph would come in very handy with bigger branches.